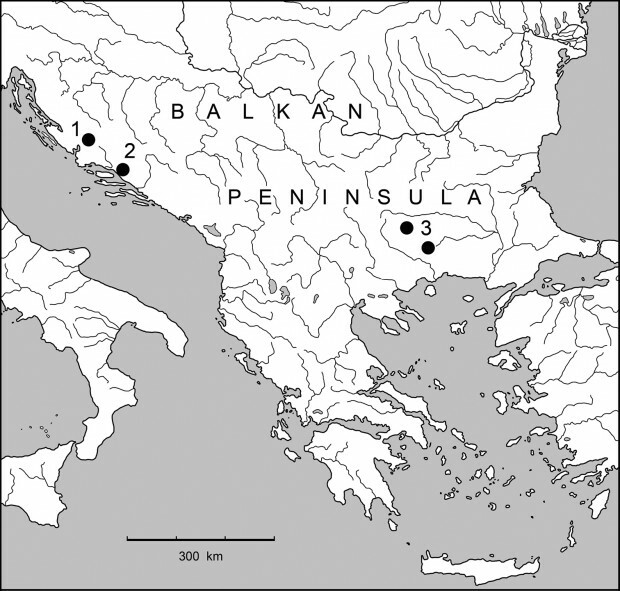 A recently discovered blind cave beetle has helped shed light on the paleogeographic history of the Balkans. Found in two caves in Bulgaria’s Rhodopi Mountains, the beetle has been assigned the name Paralovricia beroni. The 1.8-2.2 millimetre (0.070-0.086 inch) long beetle, one of the smallest cave-dwelling ground beetles ever found, has just been categorized under a new subtribe, Lovriciina. The other beetles it has been grouped with are the extremely rare, Lovricia and Neolovricia. Lovricia jalziciwas was discovered in 1979, when a single female specimen was found at the cave Gospodska pećina in Croatia. Lovricia aenigmatica is known from few specimans in caves on Croatia’s Biokovo Mountains. Found in 2009, Neolovricia ozimei and is known from a single female found in the cave Špilja u Radinovcima, also in the Biokovo Mountains. To explain the vast distance between these species of common origin, between the mountains of the east and west Balkans, one must look way back to the Late Oligocene, 29-24 million years ago, when a tract of land connected the Dinarides and Rhodopes mountains, allowing their colonization. For more information, read the entire paper, entitled A new remarkable subterranean beetle of the Rhodopes: Paralovricia gen. n. beroni sp. n. belonging to Lovriciina new subtribe by Pier Mauro Giachino, Borislav Gueorguiev and Dante Vailati.